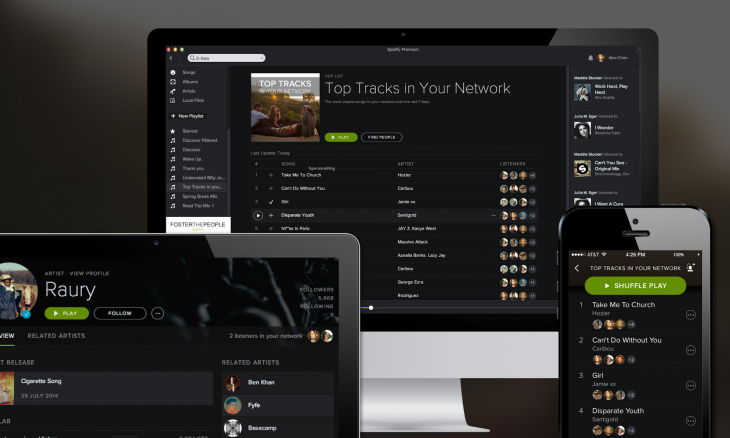 Spotify has today announced that it has passed the 15 million paying subscriber threshold, and now has more than 60 million active users overall. The figure, revealed in a blog post today, marks a significant increase since May 2014, when it said it had 10 million paying users and shows that its new subscriber growth is holding pace. In 2011, it had just one million paying users, and reached 6 million in around March 2013. It then reached the 10 million figure in May last year. Over the course of 2014, the company expanded the platform’s reach by partnering with a number of companies and making several product updates, including the introduction of family plans.